Should Visiting a Death Camp in Poland Be On Your Bucket List? I would be so surprised if “visiting a death camp museum in Poland” was on your bucket list. It’s certainly never been on mine. 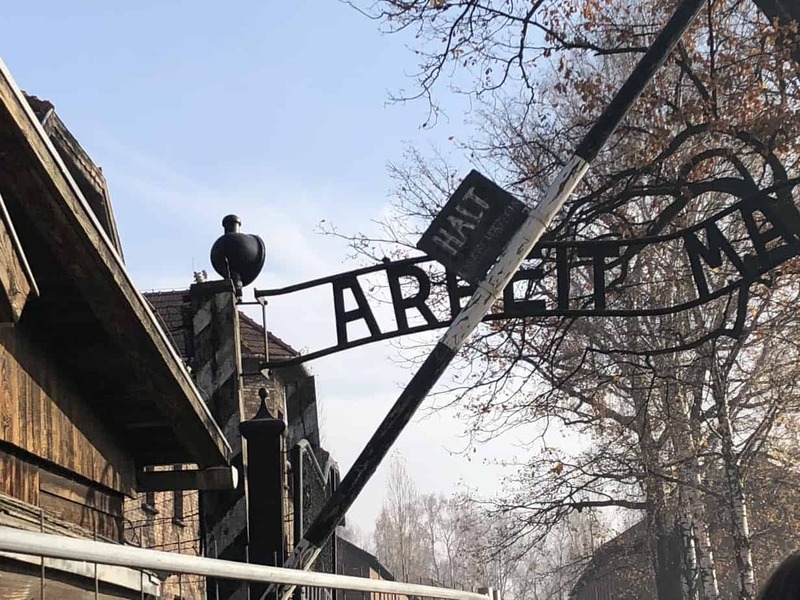 So when my daughter asked if we should visit Auschwitz Museum when we were in Krakow, it might seem strange that I didn’t hesitate one second to say “Well yes.” Of course, we’re doing that. Why had I never thought of that? EVER? I’ve been a history fangirl all my life. Not an expert – just a fangirl. But World War II felt more a part of my life than a part of ‘history.’ Maybe because the world I was born into was still processing their collective experience twelve years after the end of the war. Stories began appearing in books and Life Magazine from many different perspectives – politicians, soldiers, and young teenage girl’s named Anne. They told of the millions of people murdered during the war. It all felt so removed from my life and the world around me. ‘Real people,’ the adults I knew and my parents knew – couldn’t – wouldn’t – do what those evil doers perpetrated. You may feel the same way about the horrors of WWII. They happened so far away, and in such a different world. 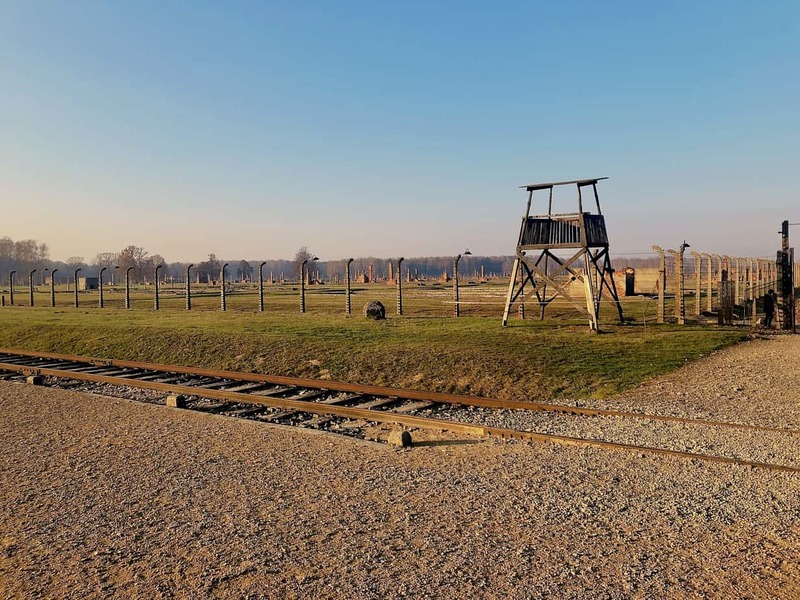 The day I went to the Auschwitz-Birkenau Museum, I learned there’s a vast difference between knowing something happened and standing where it happened. Seeing what the victims saw, where they experienced it – and hearing the details while in that place changed my perspective forever. I think, my friend, you should put it on your bucket list. To be clear – the camps in Poland were all German/Nazi Death Camps, and there were never any camps created by Poland. I make it clear further into the blog post just what the Polish people endured at the hands of the Nazi’s – and for more years than WWII was fought. I also want to tell you how difficult it was to write about this experience. I’m still chasing the right words, but it’s past time to share what I saw and felt. And I’m combining my story with the personal experience of four other writers from around the world. Read our stories, then go – see for yourself. 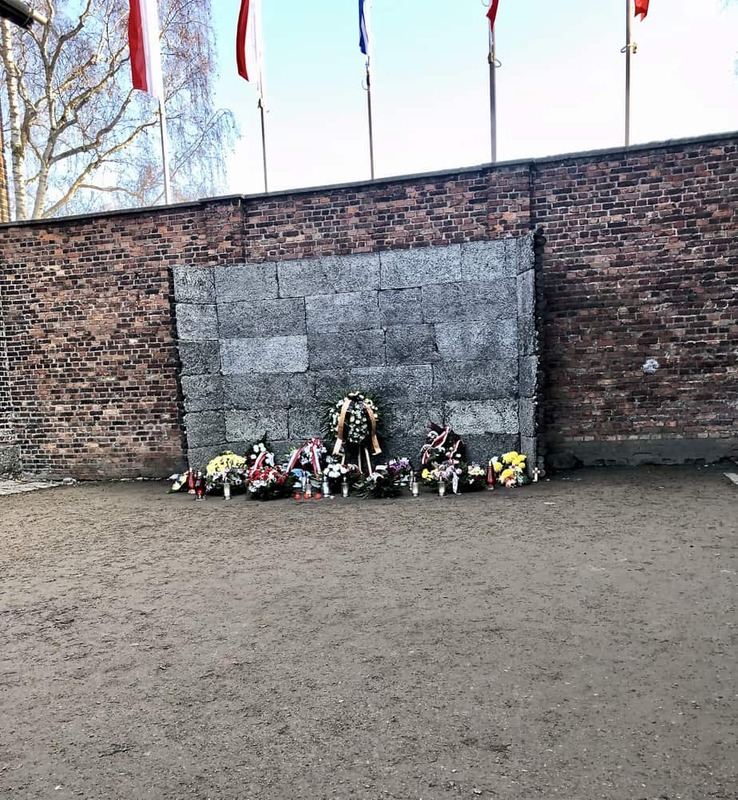 We boarded a tour bus to the death camp site the morning after arriving in Krakow. It was a cold November day with a damp, morning fog. I was mesmerized by the wooded landscape as we traveled toward the camps. “Is this what they saw?” I wondered, but no, they were locked inside railcars. I didn’t feel anything – which was strange. Leading up to the tour, my daughter reminded me often to prepare for the intensity of the experience. I pretended to do that, but I’d been in a deer-in-the-headlights mode since saying “Well yes” to the tour. Looking back, I know I couldn’t imagine what something so big would be like in real life. So I just braced for impact. And once there – the reality of what I’d heard, read and watched movies about was too much to process. I felt robotic from the moment we stood under the iron entrance gates of Auschwitz. The gates inscribed with “Arbeit Macht Frei” (Work Makes You Free). It was so jarring and absurd reading that there, in that place, I thought at first it was added after the war. No. It was always there, as it was on many Nazi concentration and death camps. After walking through the main gate, I stayed hyper alert – focused on imprinting everything in my memory. But I felt disconnected from my emotions – almost a state of shock – as the tour unfolded. I remember thinking the red brick buildings were in good shape and didn’t look as terrifying as I’d expected. Our Polish guide, Konrad, told us what happened to the people who died here. How they were made to travel to this place – or another death camp in Poland. What they endured in the train cars and when they arrived. I wrote down one thing he said that haunted me. “People ask all the time – why did this happen? How did this happen? 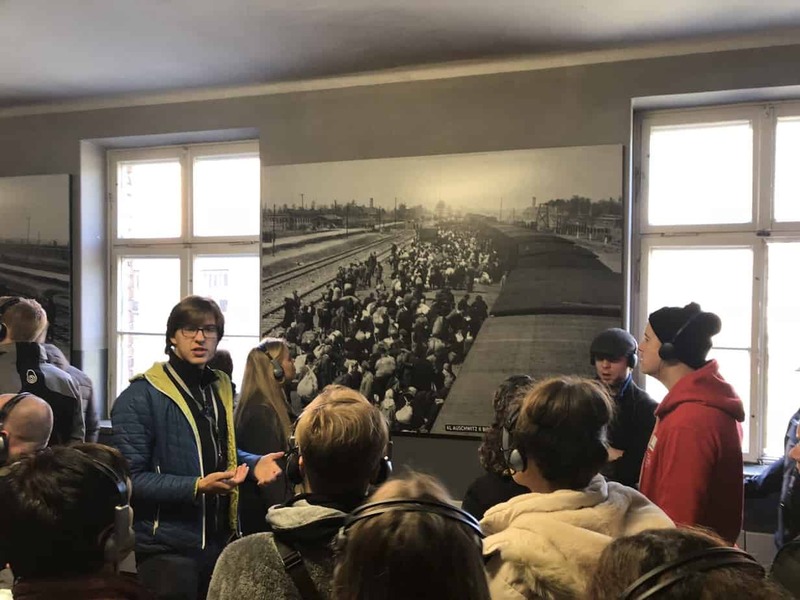 It’s because they elected the Nazi’s who promised a change.” You could tell Konrad wondered why people taking the tour needed to ask these questions. His tone implied the answer was so obvious. I took it as I believe he meant it – a cautionary tale. As we entered the first cell Block, Konrad had us stop and read the George Santayana quote on the wall inside. “Those who do not remember the past are condemned to repeat it.” That is the message the Polish people want the world to know. On the walls of the corridors hang haunting black and white photos of prisoners – one after another. All new prisoners were photographed until too many of them began arriving daily. And it got to be too much of a tedious chore for the guards. Everywhere we went on the tour – I tried to imagine how the prisoners would have experienced it. As we walked through the barracks and I felt the cold leak through my multi-layers of clothes and down jacket – I imagined wearing only rags. Konrad said there were over a thousand prisoners in each Block, and one latrine per building. We saw rooms with straw-covered floors, rooms with wood pulp and straw filled sacks as mattresses, and some with 3-tiered wooden bunks. They were so crammed in they had to sleep on their sides. In Auschwitz’s early days, prisoners slept on straw. Straw filled sacks as mattresses in Auschwitz barracks. And when they were forced up in the morning, they had 10 minutes to report to roll call. I knew I wouldn’t have made it to the bathroom in time to line up. At times, roll call lasted longer than a day and a night, regardless of weather and depending on the whim and cruelty of the guards. My hips and knees severely ache when I stand too long. How would I have done it? Within the barracks, collections of confiscated belongings are separated and displayed behind glass walls. 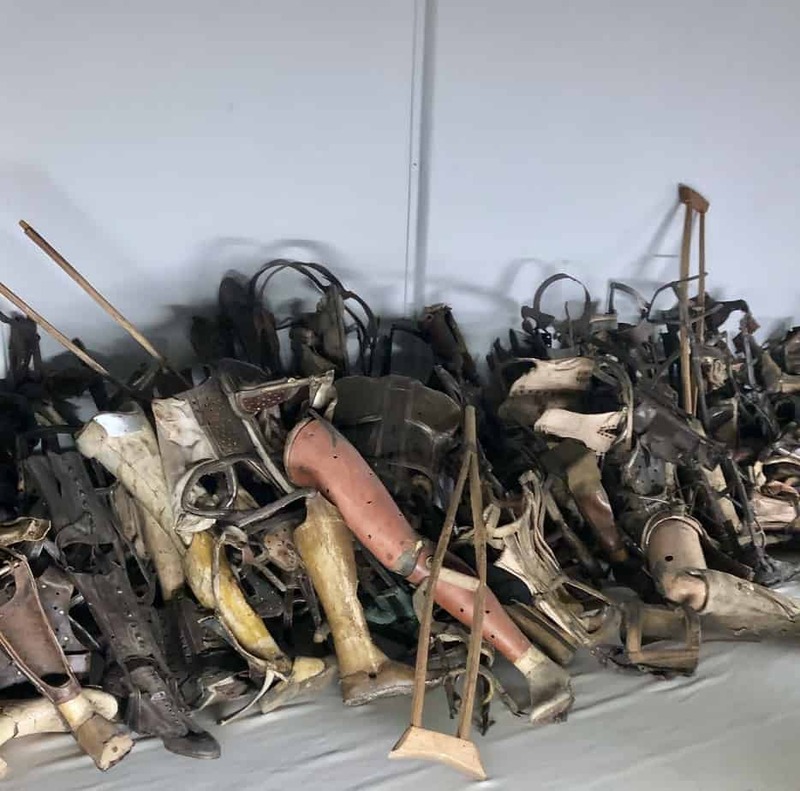 There are mounds of suitcases, prostheses filling half a room, rusted containers of Nivea face cream, brushes and combs, eyeglasses, worn out shoes, baby shoes, and feminine heels. And piles and piles of hair. Confiscated luggage with names and birthdates. We silently entered the remaining gas chamber and crematorium at Auschwitz and walked through. I felt claustrophobic terror in that dark hole, the cement walls marked from clawing fingernails. There was so much horror at Auschwitz; it’s hard to believe any place was considered worse than the gas chambers. But that was Block 11 – used for torture and executions. I learned the Nazi’s could think of worse things to do beyond the shower/gas chambers. To imagine what the prisoners endured, we were led single file into the cramped basement of Block 11. There, in the small cells, prisoners could be sentenced to a week either without food or without light. Or be made to stand – crammed with others into a standing room only cell all night, taken out to labor the next day, and brought back again to stand in the cell that night. Being sent to Block 11 meant death for a prisoner. Death as a direct result of the punishment, or if they somehow survived that, they were shot or hung at the Wall of Death in the adjacent courtyard. The courtyard between Blocks 10 and 11 had all overlooking windows boarded or bricked over. The Reconstructed Wall of Death at Block 11. “Never forget that this has happened. I think that can happen if you visit a concentration camp museum for yourself – one created in German-occupied WW2 Poland. I’ll never forget. About 3 miles from Auschwitz I is Auschwitz II. Known as Birkenau, this is where the Nazi’s extermination plan took on an industrialized quality. Railroad ties travel directly through the main brick entrance and back into a vast complex of death. Train after train pulled up here – the end of the line. At the peak of operations, so many were killed daily at the camps, the Nazi’s capacity for disposing of the bodies stretched to its limits. Today, it’s quiet standing where millions fell from the train cars – and yet you can hear everything happening. The hysteria, barking, crying adults and children, sharp German voices. Konrad said the Nazi’s controlled the confused and frightened crowds by having guards greet new arrivals calmly – almost cordially. Most people believed they were relocating to new homes. They were told to write their name, birth date, and address on suitcases so they could be delivered while they were processed. Then they were formed into two different lines. Men together with older boys and women with older girls. Though frightened, they cooperated after hearing this was for modesty reasons. Next, the lines were culled arbitrarily – some to the showers, some to labor, and some for experiments. All elderly, pregnant, sick or injured adults, small children, and infants were led to the showers directly. If someone was too ill or injured to walk, the Nazi’s brought a Wagon, painted to look like an ambulance, to help them get to the showers. Not knowing the reality of the showers, people told the guards their mother, sister, or other relative was ill to get them into the ‘comfort’ of the ambulance. If you take a tour there someday, you’ll hear how the people calmly walked to what they thought were showers. You’ll be standing where they stood, walking where they walked. But you’ll stop at a certain point – while they continued down a steep slope leading into the underground chamber, thick smoke hanging in the air. Birkenau is in ruins. 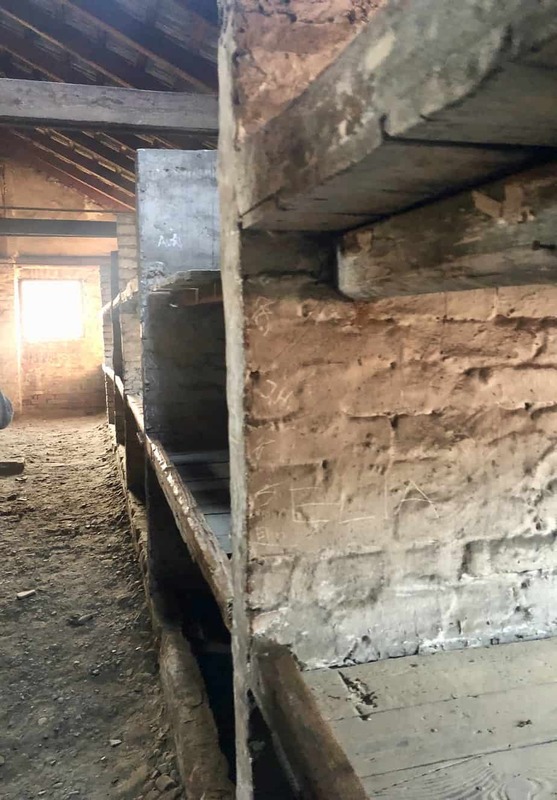 There are exploded remains of the four crematoriums (housing eight gas chambers and forty-six ovens), the building sites where hundreds of barracks once stood, guard towers, and some crumbling brick barracks. Ruins of barracks in the fields of Birkenau. Crumbling brick barracks at Birkenau. The Nazi’s blew up the crematoriums toward the end, as the war began to go against them. They destroyed most of their records and killed many of the remaining prisoners before the Soviet army arrived. Ruins of one of four crematoriums Nazi’s destroyed at Birkenau. Auschwitz appears intact – as it may have looked during WWII. 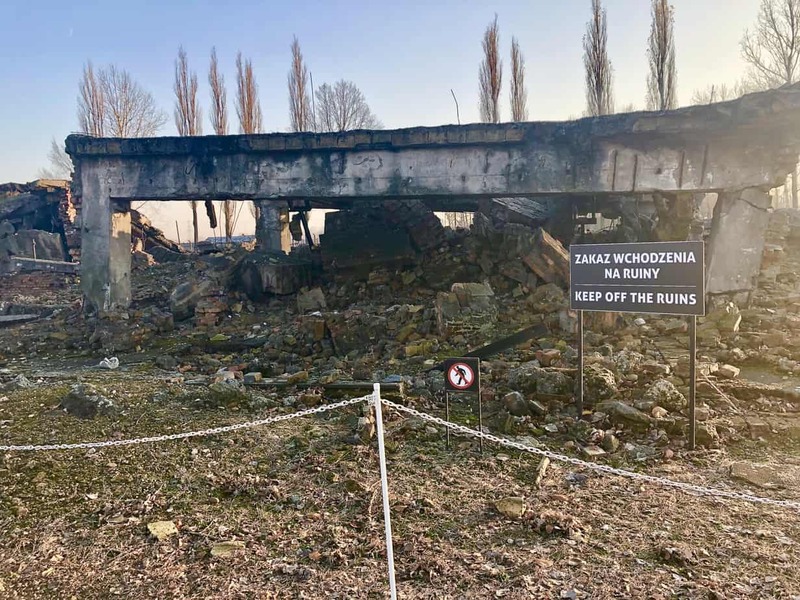 The only gas chamber and crematorium is still standing, all the barracks, guard towers around the perimeter, and smaller stands that protected guards from bad weather during roll calls. At Auschwitz, guards stood inside this tower in bad weather during roll call. A few years after the war, the people of Poland created the museum and memorial. It’s enough. Bare ground, railroad tracks, crumbling and rotting buildings, and dirt floor barracks hold the space for today’s visitors and the ghosts. As we ended our tour, cold and exhaustion flooded my body. I pushed myself to walk back to the tour bus, climb on and collapse. It had taken no more than 6 or 7 hours. Not even a full day in the life of a prisoner in a Death Camp. That all the Nazi’s death camps were inside Poland, likely because of the existing railroad system leading there from Western, Central and Eastern Europe. That the Polish people living in and around the town of Oświęcim were evicted from their homes and farms to keep secret the purpose of the camp. The early building materials of the Birkenau barracks came from dismantling the abandoned farm houses in the area. That the Nazi’s conquered and enslaved the Polish people when they invaded – before the ‘official’ beginning of WWII. Of the bravery of the Polish Resistance movement. That Auschwitz I was originally built as barracks for the Polish army. That fellow prisoners fed the crematorium ovens and piled up ‘spill-over’ bodies to burn. That Dr. Josef Mengele practiced his cruel experiments in Block 10 at Auschwitz. That the Nazi’s created a textile business using the hair shorn from their prisoners. I want so badly to believe that if enough of us visit these places, we won’t let it happen again. But people see others unlike themselves as strange and frightening – threatening in some way. Combine that with hate and horrible things happen. I traveled to Berlin from Krakow and learned more about how this happened. Check out my article here. If it’s hard to imagine the extent that human cruelty can reach – please go and see for yourself. And read on as four international travel bloggers share their impressions of this place. If you’ve already visited a German/Nazi WWII concentration or death camp – email me or comment below and share your story. 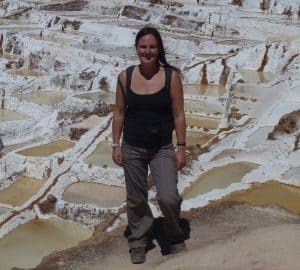 Contributed by Clare at Travels in Peru blog. You can also find her on Facebook here and Pinterest here. While I was visiting Krakow I knew that I had to visit Auschwitz. When I was in school we had learnt about the second world war and though being born so long after, I wanted to see the place I had learnt about. When I first arrived it seemed so quiet and eerie, a place you cannot imagine that such terrible things happened. While walking along the train tracks towards the camp, it’s so hard to imagine all the trains arriving full of people and that for a lot of them this would be their final journey in life. Knowing how scared these people must have been, not knowing what would happen to them and being separated from their loved ones just overwhelms you. 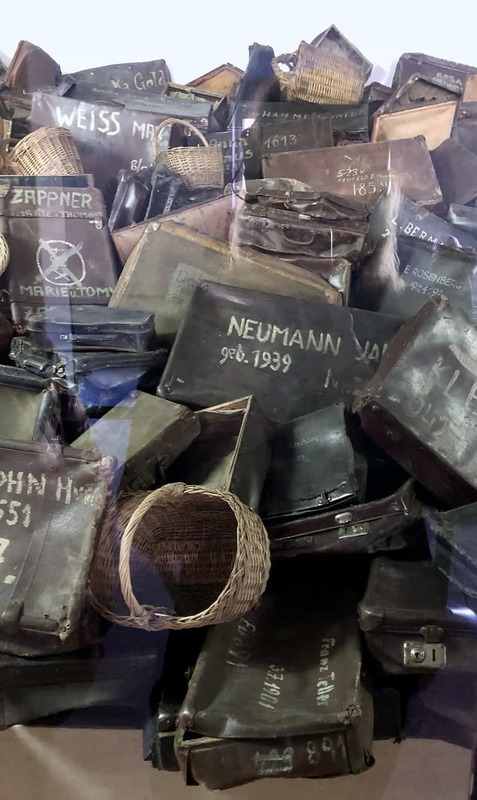 I understood the sheer scale of it when I walked into the building showing the displays of peoples belongings, the mountain of shoes, the hair, the glasses of people and knowing that these belonged to people who came but never left this place. 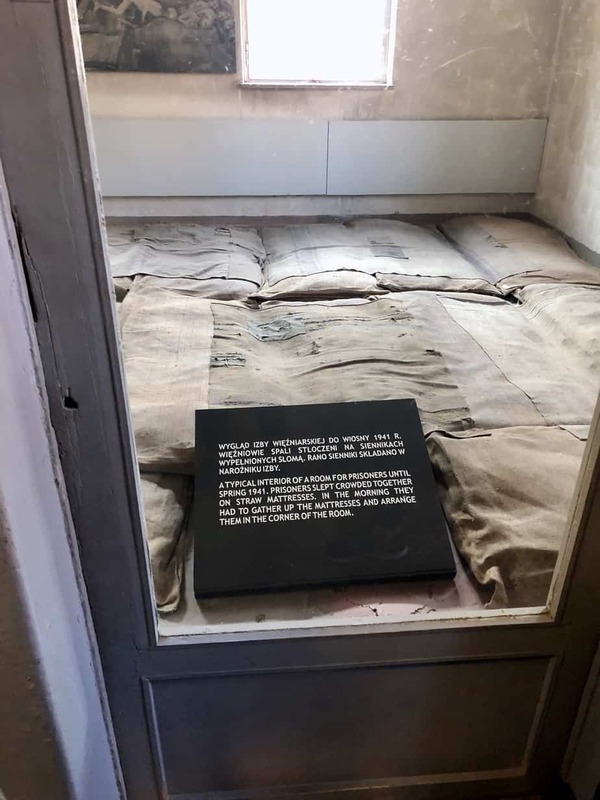 The hardest part for me though was entering the gas chamber and knowing that so many people entered it and that’s where their lives ended, seeing the scratch marks on the wall. It was so upsetting, thinking about what they must have gone through in there, how scared they must have been. I left the place with a heavy heart but believing that everyone should visit, so that everyone is fully aware of the atrocities and it becomes real to them, and it’s not just a story in a book they read. Contributed by writer and photographer David Angel from the Delve Into Europe blog. You can read more of his visit to Auschwitz here, and also find him on Instagram here. I always knew that visiting Auschwitz death camp would take a heavy emotional toll. I thought I was ready for it, but nothing could prepare me for what I saw in those few hours. 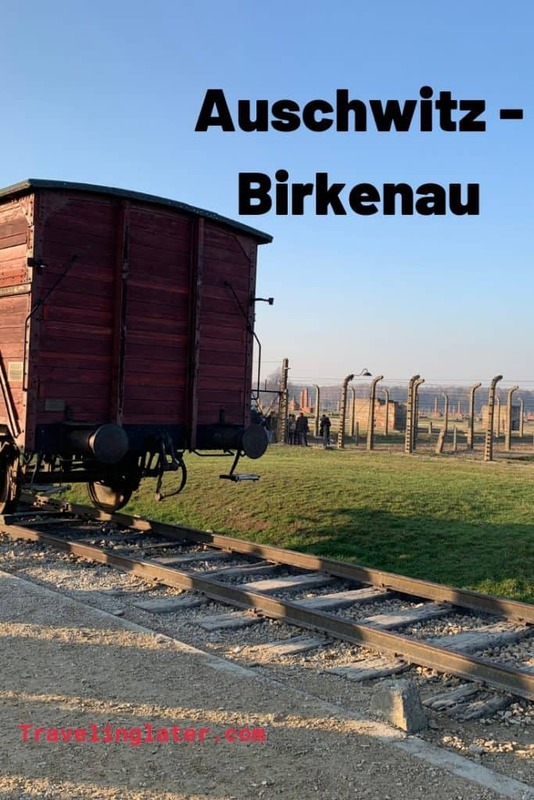 There are actually two Auschwitz sites to visit – the original concentration camp and the factory of mass murder two miles away at Birkenau. I found the first one so emotionally draining and exhausting there was no way I could go to the second site. The original camp, Auschwitz I, tells you the story of the camp in meticulous, exhaustive detail. You see hundreds and hundreds of pairs of sunken, traumatized eyes staring at you from corridors lined with prisoners’ portraits. You see everything from victims’ suitcases, spectacles, false limbs, even the faded shaved hair of over 100,000 victims. There are also documentary records in abundance. For me, the worst part was the visit to the ‘Death Block’, where thousands were arbitrarily murdered. I happened to be alone in the corridor where the punishment cells were located. Sometimes, four prisoners were forced to stand together for days on end in tiny brick cells one-metre square. It didn’t take much imagination to picture the hell all these poor souls endured. Auschwitz would be too much for some people. Looking back, I’m glad I went and would recommend others do the same. It’s absolutely harrowing, but you need to see somewhere like this. Some of the political movements that have started to take hold in Europe are sowing the same seeds of scapegoating and hatred that the Nazis propagated almost a century ago. Auschwitz is a reminder of how these things can end up. Contributed by Deeptha of The Globe Trotter blog. You can read more about her time visiting Auschwitz-Birkenau here. You can also find The Globe Trotter on Twitter here and Facebook here. 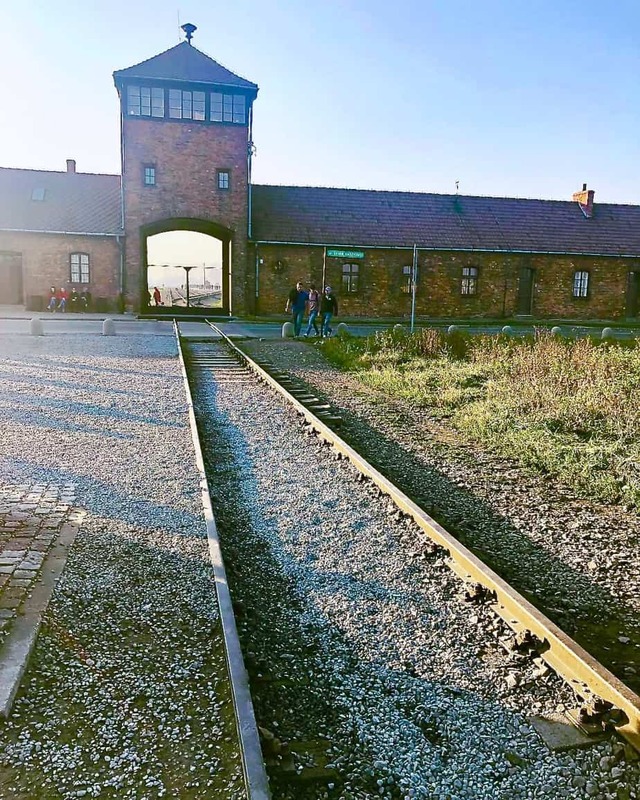 In 2018, we visited Poland and one of the most moving experiences was visiting the concentration camps at Auschwitz /Birkenau. These concentration camps saw the cruel massacre of millions of people during the World War and remain one of the most inescapable reminders of human cruelty and human suffering. Visiting the sites made us numb with shock. Although we had watched a number of documentaries on Auschwitz, we were shocked with the sheer size of the camp. 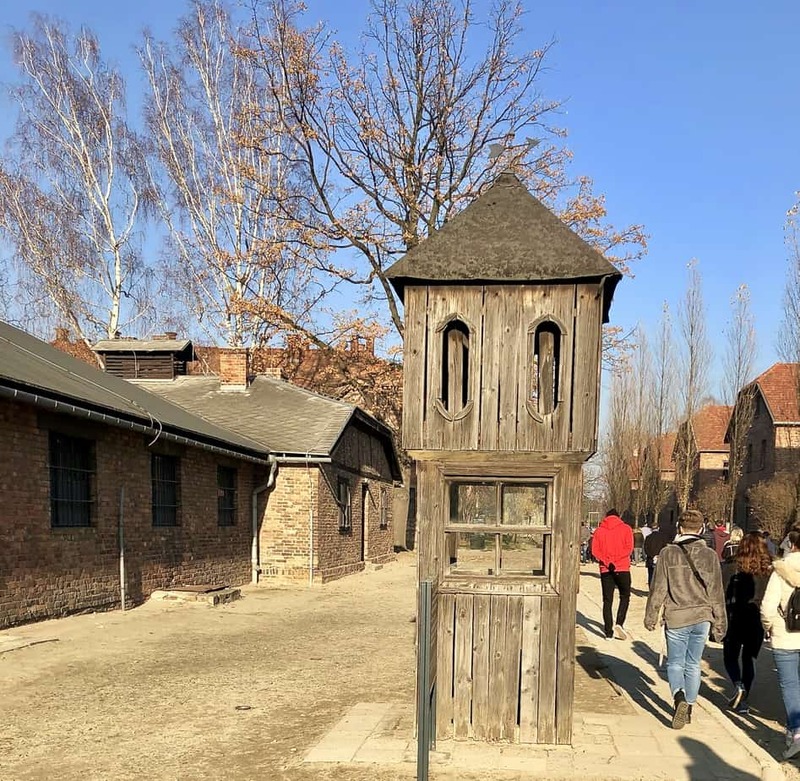 The train tracks, the gatehouse tower, the rows of barracks – everything reminded us of the people who were brought into the camps and never managed to make their way out alive. It was also very disturbing to look at the piles of shoes, suitcases and other goods taken from the prisoners and victims. Just looking at all this had such an impact on us and we couldn’t fathom the lasting impact it must have had on the survivors of these camps. As we headed back from the camps to Krakow, we were emotionally drained and overall numb. It is really difficult to put into words the mix of emotions we experienced. What I can say though is that the visit was very emotional and heart-wrenching. Contributed by Lucy Dodsworth of On The Luce travel blog. You can read more about her visit to Auschwitz here. 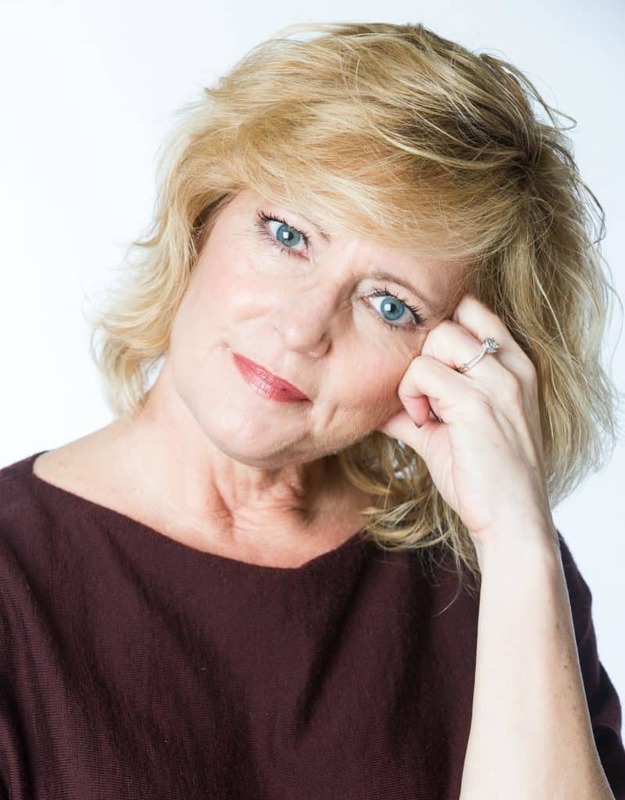 You can also find her on Twitter here and on Facebook here. 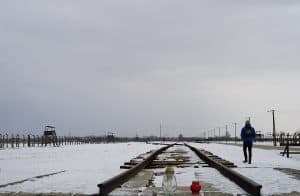 Dark tourism is a growing industry, with sites of tragic events becoming tourist attractions all around the world, from the 9/11 Memorial to the ruins of Chernobyl. But darkest of all are the Second World War concentration camps like Auschwitz-Birkenau, sites where millions of people lost their lives. We all know the story of the Holocaust, from films and TV shows, books and school history lessons. But walking through the site, past those concrete watchtowers and lines of barbed-wire fence, makes it real in a way that no book or film ever can. Lines of huts stretching off into the distance at Birkenau bring the scale to life, and the stories and photos of individual victims turns those numbers into real people’s lives. It’s a moving, sobering, upsetting and powerful experience all in one. There are always going to be questions about whether people should be visiting these dark tourism sites. But as a way to help us remember and to make sure humanity learns from its mistakes, it’s important that we face the past and visiting Auschwitz is something I’ll never forget. Previous Post: « I Always Check My Bag. She Doesn’t. Great article. However, please refrain from calling concentration camps or death camps Polish. It is highly offensive. I know, you explained that Poland or Poles weren’t the ones who created them, but some people don’t read the whole article. They just look at the title and remember that fraze: Polish Death Camps. At the same time many people a word say “Nazi” with out remembering that they were Germans. Therefore less educated people might think that Nazi-Poles built camps and killed Jews in them. Ralph that is all very true. The order of the words is now changed to the proper meaning – death camp IN Poland. It was a bad phrase that was not meant to infer all that it did, and I apologize. HI again Cindi, I have only just now noticed (done while I was writing my reply earlier) that “Polish” is gone, but “in Poland” is there instead. 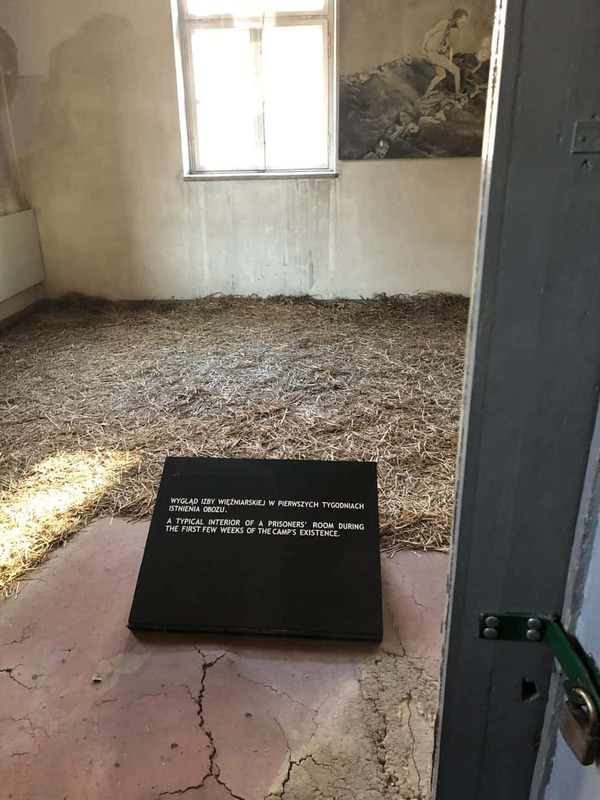 I would only suggest one more quite essential change: if you call it a death camp “museum” in present-day Poland, and that it was created in German-occupied WW2 Poland, that makes it all crystal clear. Thanks very much for your suggested edits – the post has been updated.